Home Human Physiology Hearing loss is linked to other health issues. Milk, always recommended for salubrity, could be the reason for your hearing loss. It doesn’t harm your hearing competence directly but it does in a roundabout way. You may have heard about the dairy allergies or allergies in general and anemia (iron-deficiency anemia in particular) could account for your diminishing hearing ability. Perchance, this condition can be staved off. Human anatomy shows each body organ is connected to each other by this or that way. Hence, one gets damage is likely to suffer an entire body. 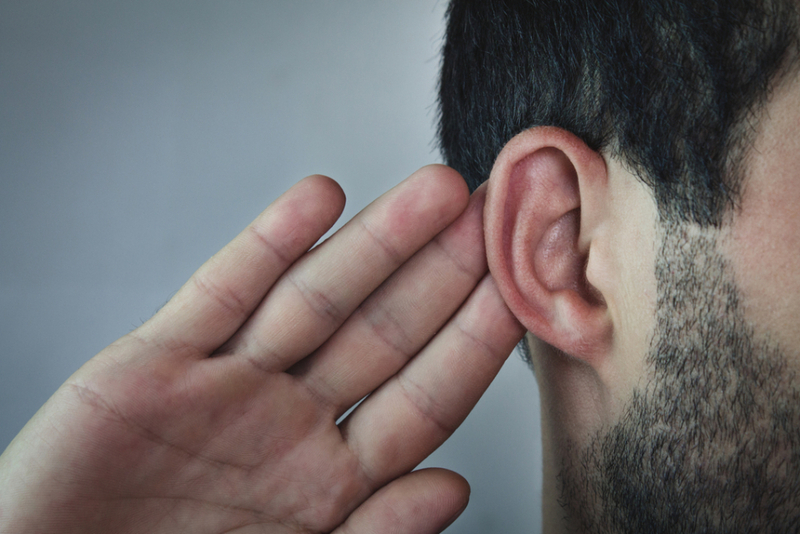 Let us see few major processes or underlying ailments which may contribute to any of the three types of hearing loss. There are few common allergy symptoms many of us informed about and some may be sufferers of. For instance itchy eyes, running nose, swelling, vertigo and fullness in the ear. These are the common symptoms discovered in the allergy. During this condition, ear canals get swell and create difficulty in hearing. When you are in a condition of allergy results in sneezing, itching and congestion produce excessive phlegm can cause conductive type hearing loss. It occurs when wax like fluid collected and inhibit the smooth traveling of sound through the ear and into the tiny bones of the middle ear. Luckily, the conductive hearing loss is curable since it causes temporarily. This was the allergy in general but dairy allergy or milk product related allergies in particular also can cause hearing loss. Body immune system produces its defender’s antibodies which releases histamine against allergens. But root cause lies in the digestive system so as in the intestines. Hence, indigestion could trigger allergy and which could further manifest swelling or inflammation even in ear canals resulting in hearing loss. If you are in such hearing loss condition abandon dairy products and check if the hearing is improving. It begins when the reason for iron-deficiency anemia, which leads to a combined hearing loss. There is a high chance of sensorineural hearing loss seems twice as to the people are without this anemia. Because it is related to blood disorders that damage blood vessels, including those in the ear which further lead to the sensorineural hearing loss. Anemia occurs in two cases typically malabsorption or excessive blood loss. Malabsorption is simply related to digestive tract issues, where this track experiences a loss of hydrochloric acid. Digestive tract issues include digestion and absorption, enzymes, bowels immunology, metabolic issues and the microbiology of your bowels. Secondly, if blood loss is the reason behind anemia, it could be due to ulcers or menstruation. This issue may due to estrogen dominance which again the digestive issue. It is not admissible to lose excessive blood during menstruation. It is good to know that iron-deficiency can be overcome with iron supplements. If you have Metabolic Syndrome you are at higher risk of hearing loss, according to Iranian study. An increase in the number of Metabolic Syndrome components, the risk of hearing loss is also increased. Components of the Metabolic Syndrome, such as increased blood pressure or obesity, coincide with risk factors associated with hearing loss.